Earlier this month, Sumba Iconic Island (SII), a program initiated in 2010 by the Ministry of Energy and Mineral Resources and Hivos, conducted a coordination meeting in Waingapu, East Sumba, to review current progress and solve any challenges. 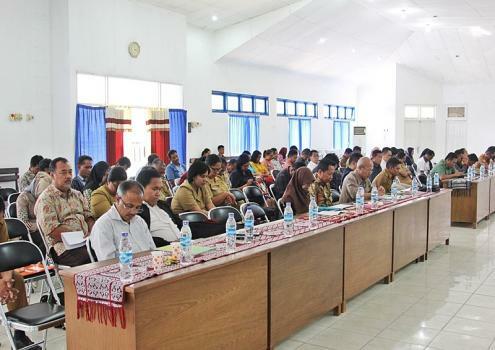 This Coordination Meeting is held annually and is attended by the program’s stakeholders including the government at the national level, the East Nusa Tenggara provincial government, the four district governments of Sumba Island, National electricity company (PLN), Hivos and local organizations. Coordination among East Nusa Tenggara Provincial Government and District Governments of Sumba Island for a Special Allocation Fund for small-scale energy in fiscal year 2019 will be facilitated by the National Secretariat of the SII Program, especially regarding data synchronizing of specific allocated fund submissions. The establishment of village-owned enterprises and regional-owned enterprises as the institutional mechanism for managing off-grid renewable energy installations on Sumba Island will be considered by the local government. 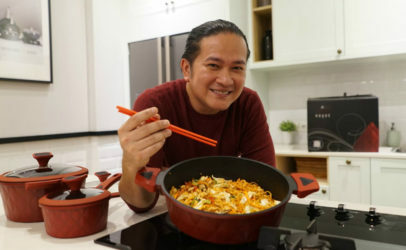 The village-owned enterprise will be able to cooperate with RESCO (Renewable Energy Service Company) or other agencies as long as it is agreed within the community and legalized by the issuance of a Village Regulation. 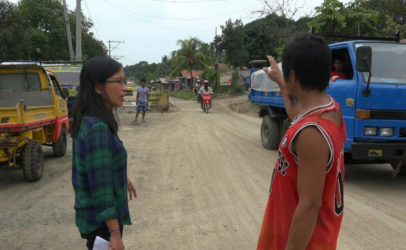 Regarding the challenges of local government’s budgeting on operational and maintenance aspects of renewable energy infrastructure on Sumba Island, the Ministry of Home Affairs recommends that the “Special Financial Assistance” mechanism be used by the District Government to the Provincial Government; another option is the utilization of the Village Fund. The Program Development Manager for Green Energy at Hivos Southeast Asia, Sandra Winarsa, said that through this meeting Hivos received very useful information from the Regional Finance of the Ministry of Home Affairs related to funding options for the renewable energy infrastructure, as well as related to the state budget, regional budget, and Special Allocation Fund (which has not yet been made available for this year). “These funds can be mobilized to increase access to energy at the village level, but they have not been maximized since there is an information gap between the central and the district government. These funds can be used if there is an entitled entity in the village that is ready to manage the funds,” said Sandra. According to Sandra, it is a challenge to develop the capacity of villagers to access these funds, which needs special consideration. Through this fund, the villagers could benefit greatly, for example to having capacity building in the realm of management as it will improve their ability to write proposals and develop good programs for the whole community. Further discussion and improved collaboration are definitely necessary to achieve SII’s goal in providing energy access to communities in small and medium islands in Indonesia, through the utilization of renewable energy potential. In the long run, the government wish to provide 100% renewable energy by the year of 2025. The expected impact of this initiative is to increase the economy and well-being of Sumba people, as well as to replicate a similar development program in other parts of Indonesia.